POSTED: Fri, 09/29/2017 - 16:00 | POSTED BY: Traci C.
Celebrate New Year's Eve at Mickey's Backyard BBQ! 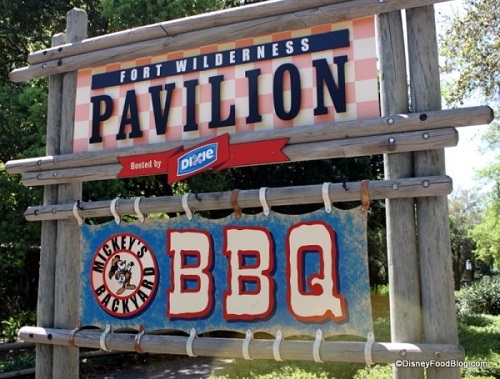 Mickey's Backyard BBQ at Disney's Fort Wilderness Resort is hosting a special New Year's Eve celebration complete with food, characters, fireworks viewing, and a live feed of the New Year's Eve fun from Times Square in New York City! Dates have been extended for the Highway in the Sky Dine Around. This progressive dining event takes guests to the three Monorail resorts and includes stops at The Wave...of American Flavors, Disney's Polynesian Village Resort, Citricos, and fireworks viewing from the Contemporary. Yachtsman Steakhouse is offering a casual breakfast and lunch option for a limited time while the refurbishment at Captain's Grille continues. The relocated Captain's Grille at Ariel's is closing today. Starting October 10, Disney Vacation Club members can make reservations for the Liberty Feast, the DVC member Thanksgiving dinner hosted at the Fantasia Ballroom at the Contemporary. The cost is $70.60 plus tax and gratuity for adults and $39.95 plus tax and gratuity for kids ages 3-9. And finally, Disney's Saratoga Springs Resort & Spa is offering a family meal kit from Artist's Palette for $49 plus tax. The kit feeds a family of four and includes pasta, salad, and garlic breadsticks. Are you celebrating the holidays at Disney this year? How about New Year's Eve at Mickey's Backyard BBQ? Let us know in the comments.